The Home Sound System with wireless music streaming truly is what obsession sounds like. The LED Screen Speaker delivers a full theater-quality sound stage for the ultimate listening experience whether you`re watching TV or movies, or streaming music over your Wi-Fi network. Plus, Bluetooth Speaker with led easy plug and play setup nixes the muss and fuss of messy wire clutter in your home. 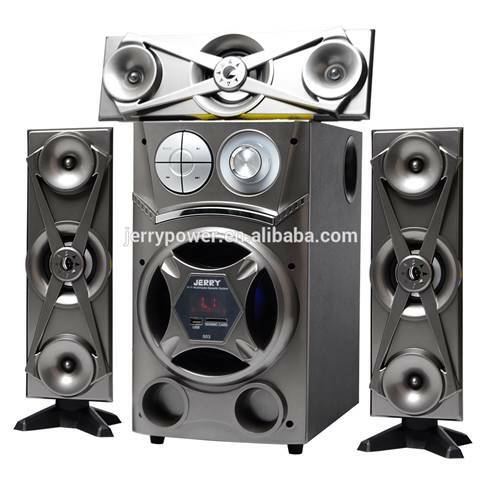 This product is suitable for customers who have certain preferences for music and movies, and are not very professional, have certain standards and pursuits for sound effects. Its price is moderate, the audio and video effects are very good, and it also has a high price/performance ratio. You can easily achieve ideal audiovisual effects with a selection of audio and video equipment, combined with sophisticated and systematic spatial acoustic design and decoration. 1. Home Sound System has a simple and atmospheric design. The large-area metal mesh cover design highlights the texture and highlights the taste. 2. It uses the isolation design of the left/right and center channels of the front bar speaker, which not only creates a sense of agility from the appearance, but also reduces mutual interference before the different channels, bringing pure sound. 3. Surround speakers provide surround sound with a sense of substitute and presence. In particular, the sound from the rear and the sound effect from the movement to the back are accurate, allowing you to watch movies, play games, watch games and more. 4. It supports Bluetooth connection, you can connect to your phone, instantly transform it into a Bluetooth sound with subwoofer and surround sound, and enjoy your favorite music content easily.